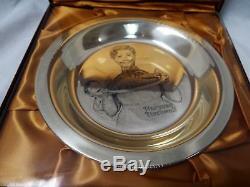 STERLING SILVER 1977 FRANKLIN MINT NORMAN ROCKWELL THANKSGIVING PLATE Sealed! 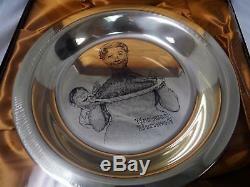 This is the limited edition Franklin Mint Thanksgiving Plate by Norman Rockwell in SOLID sterling silver made in 1977. 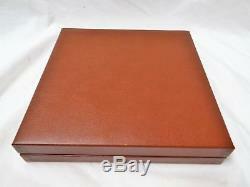 This was a limited edition and is titled "An Old Fashioned Thanksgiving". 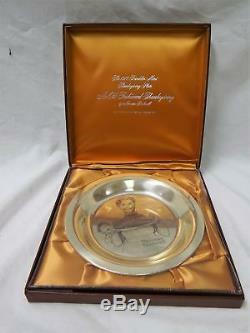 This plate is solid sterling silver and measures approximately 8 inches in diameter. 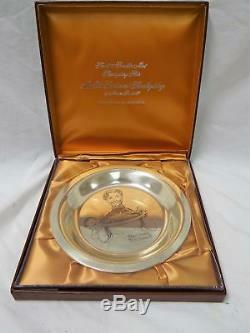 The plate comes in its original bronze-satin lined box and is still sealed with plastic. On the edge of the inside plate box is the # 940. A great edition to your collection! MAKE AN OFFER - DON'T MISS THIS ONE! 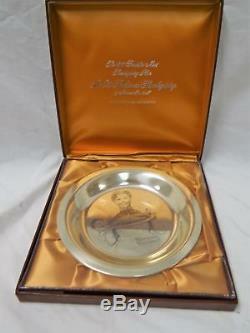 The item "STERLING SILVER 1977 FRANKLIN MINT NORMAN ROCKWELL THANKSGIVING PLATE Sealed" is in sale since Friday, February 2, 2018. This item is in the category "Collectibles\Decorative Collectibles\Decorative Collectible Brands\Franklin Mint\Collector Plates". The seller is "shopnickles" and is located in Feasterville-Trevose, Pennsylvania.